Are There Any Young-Earth Ph.D. Paleontologists? Actually, there are and the numbers are increasing. Last Friday, 2 such paleontologists visited the Creation Museum. Dr. Marcus Ross, a professor at Liberty University was here with a reporter from a popular national magazine that is doing a feature article on Dr. Ross. They were intrigued by the article that the New York Times did on Dr. Ross back on Feb. 12, 2007. The reporter spent three days with him and Dr David DeWitt at Liberty University and now wants to do a walk through at the Creation Museum to get Dr. Ross’ description and opinions on the various exhibits. Dr. Ross was one of the scientists that AiG used when writing the scripts for some of the videos and signs in the Creation Museum. Dr. Ross, a vertebrate paleontologist, received his B.S. from Penn State University, his M.S. from the South Dakota School of Mines and his Ph.D. from the University of Rhode Island. 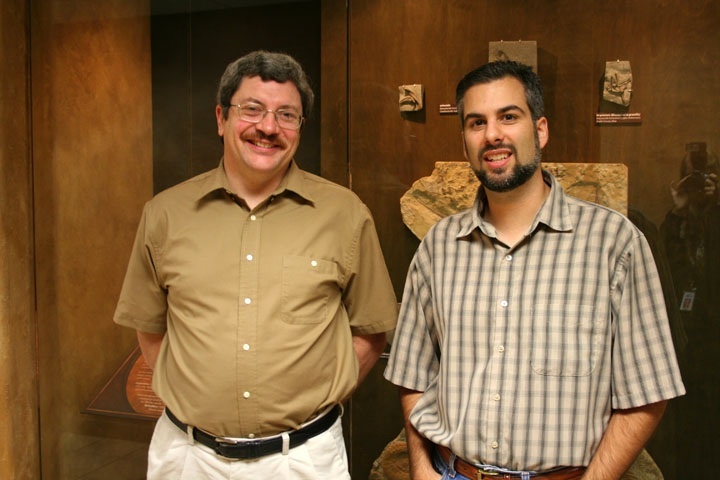 Many people in the secular world claim that no one can be a young-earth creationist and do good science, but Dr. Ross’ dissertation advisor, Dr. David Fastovsky, told the New York Times that his work was impeccable and that he was working within a strictly scientific framework and a conventional scientific framework. 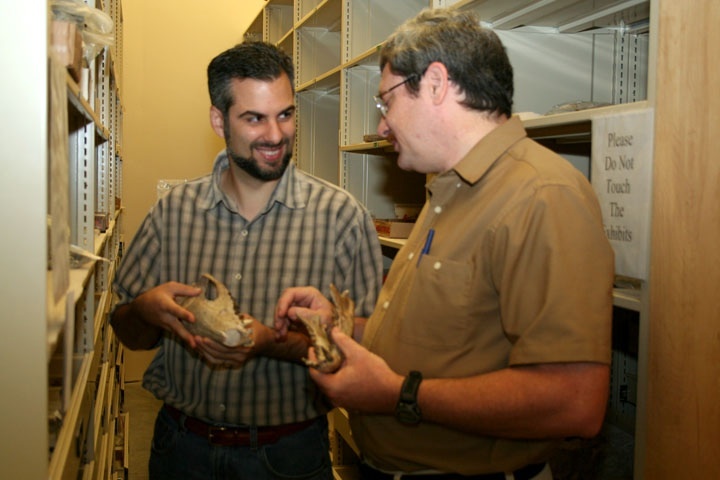 Dr. Kurt Wise, a professor at Southern Baptist Theological Seminary, also visited the Creation Museum on Friday to evaluate a collection of Mazon Creek fossils that had been donated to the museum. Dr. Wise serves as AiG’s adjunct curator of the museum’s collections. He was also heavily involved in the writing of scripts for many of the videos and displays throughout the museum. Dr. Wise, an invertebrate paleontologist, received his B.A. (Honors) at the University of Chicago, his M.A. and Ph.D. at Harvard University, where he studied under the famous evolutionist, Dr Stephen J. Gould. Before accepting a position at S.B.T.S. this past year, Dr. Wise was the director of the Origins program at Bryan College in Dayton, TN. These men are part of a growing number of well trained scientists that also believe in God’s Word and that He created the Earth and universe less than 10,000 years ago.